This page highlights interdisciplinary Artstor content related to the culture, history, and society of the United States. Content includes art, photographs, cultural objects, and architecture, ranging from pre-colonial to the present day. 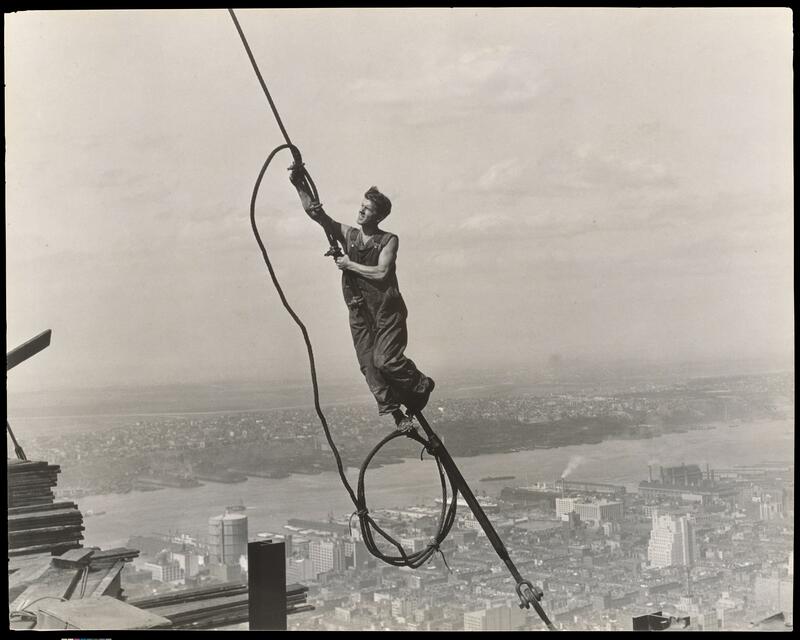 Image credit: Lewis Hine. Icarus. 1930. Image courtesy the Metropolitan Museum of Art. Browse by geography, select United States, and then choose a classification to help you narrow your results. Browse the collections of museums specializing in American art (e.g. Smithsonian American Art Museum or the Georgia O’Keeffe Museum), or browse museums with encyclopedic collections (e.g. The Metropolitan Museum of Art or The Museum of Fine Arts, Boston) by classification, then select United States. Try these sample search terms to find images related to American Studies. Don't forget to use the search filters to narrow your results. Magnum Photos has shared iconic photographs documenting the history and culture of the United States from the 1940s to the present. Cornell Capa covered major political events such as the electoral campaigns of Adlai Stevenson, John F. Kennedy, and Robert Kennedy. Following Robert Kennedy’s assassination in 1968, Paul Fusco captured fleeting images of the thousands of mourners who lined the tracks as Kennedy’s body was carried by funeral train from New York to Washington, DC. Throughout the 1960s, Magnum photographers chronicled the struggles of African-Americans to achieve racial equality, photographing demonstrations, protests, marches, and speeches by prominent leaders of the Civil Rights Movement, especially Martin Luther King, Jr. The Magnum collection includes images of current events in the United States, from on-the-ground photographs of the September 11, 2001 terrorist attacks in New York City to the devastation wrought by Hurricane Katrina on New Orleans in 2005.